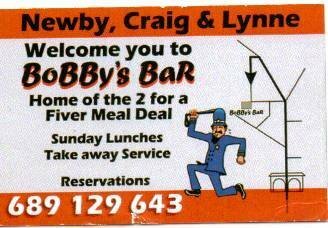 We are a small family run bar, which has a large outside terrace. 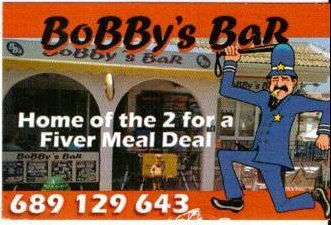 Bobby's is well know for its darts teams and really good value food, you wont find a better selection of all day breakfasts anywhere and a menu to suit everyone. We are open from 8.30am till 12 midnight thru the winter and until 2am in the summer.